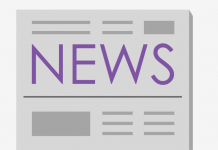 During their Thursday meeting, the Kansas State Student Governing Association proposed the formation of a special committee on membership to increase the organization’s diversity. The student senate also discussed privilege fees and the Diversity Programming Committee. Due to a lack of diversity in the student senate, it was proposed that a committee be formed called the Special Committee on Membership. If formed, Ryan Kelly, sophomore in civil engineering and communication, will be the committee chair. Members will be tasked with finding ways to create a more diverse senate. The proposal will move to final action and be voted on during next Thursday’s meeting. 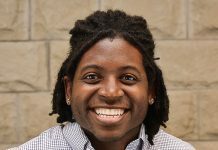 Tendai Munyanyi, speaker pro tempore and senior in management, proposed a second bill to create a women’s representative position on the Diversity Programming Committee. “Women Representative appointee members will work to push more diversity initiatives with Female Student groups on campus by utilizing DPC funding,” the bill reads. The senators also nominated voting members to the Tuition and Fees Strategies Committee. Victor Valdez, junior in economics, shared his thoughts and experiences on the committee with the College of Arts and Sciences’ students during the college caucuses. “This is one of the hardest committees to do, but probably one of the most rewarding,” Valdez said. He said voting members are important to the committee because the College of Arts and Sciences affects a large portion of students. Many majors are offered through the College of Arts and Sciences, and students are required to take arts and sciences classes as part of the K-State 8 curriculum. Stephen Kucera, student support director and graduate student in accounting, spoke briefly on the struggle posed by privilege fees, as many students have maxed out their federal aid. “In the last 20 years, the tuition plus privilege fee has gone from $100 all the way up to $326,” Kucera said. Various other senators introduced legislation to update and change the language in existing legislation to correspond with the creation of the Center for Student Involvement in reference to student privilege fees. The senate unanimously passed a commendation for the K-State Agricultural Communicators of Tomorrow chapter. Caitlyn Dougherty, senior in history, was unanimously appointed as student secretary. 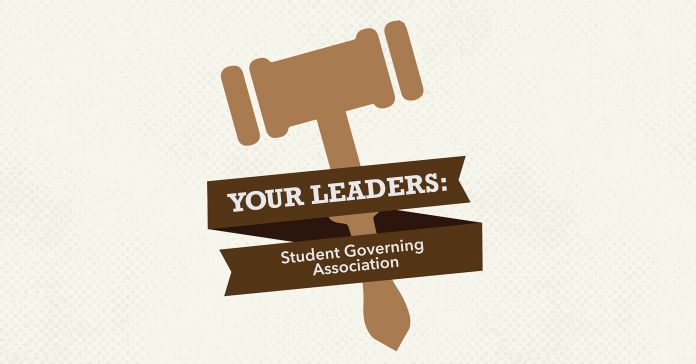 All appointments to the SGA Judicial Branch were unanimously approved.